Great ancient creatures from a time we can barely grasp but nonetheless captivate our minds for the wonders that Life had conjured up. This person, Piya Wannachaiwong, is a great artist. Check them out at http://piyastudios.blogspot.com/. Which leads me to to fabulous future conclusion that never was… The Dinosaurs didn’t go extinct. They advanced beyond needing to stay on Earth and left before the great asteroid impact. If only we were as bold. Wait! We might run into them. And they might be hungry. Prepare Earth’s defenses! 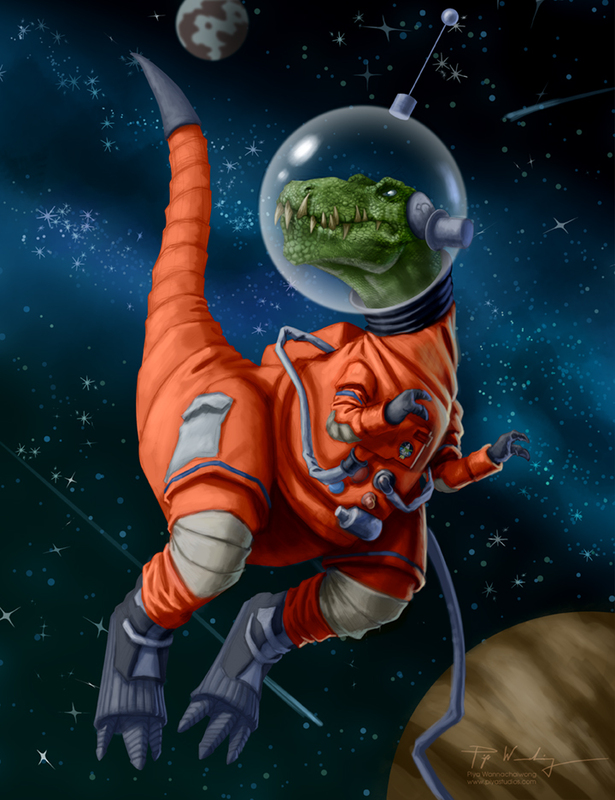 This might be the one thing to unite humanity – the threat of space traversing dinosaurs.